Not many folks know I have a thing about eggs. Not to eat. In fact, I go through periods when I won't eat an egg at all. No, my obsession with eggs has to do with their inherent symbolic nature. Fertility, birth, potential, fragility, transformation, and even the soul. Remember that scene with Robert DeNiro in "Angel Heart" when he cracks, peels, and devours an egg? Brilliant. I'm also obsessed with the thought provoking paintings of Michael Dumontier and Neil Farber. 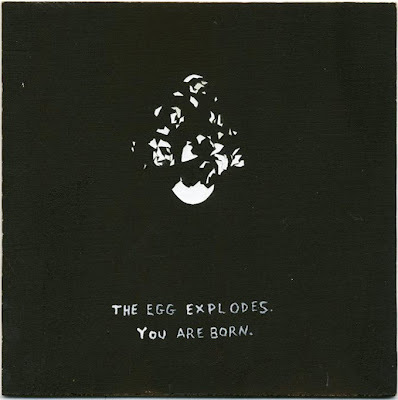 Like the one above titled, The Egg Explodes/You are Born. Food for thought. You can see more brilliant paintings on their blog, personal message.